Successfully Added 16GB MP4/MP3 Player with 3.5 Inch Display to your Shopping Cart. 16GB MP4/MP3 player with 3.5 inch display and the native ability to play many of today's most popular digital file formats. This portable media player (PMP) includes an easy to use interface for easily accessing your collection of music, videos, pictures and e-books. If you want a portable digital media player perfect for viewing your digital videos (AVI, FLV, WMV, 3GP, MPEG4, RM, RMVB, VOB) when you are on the bus or taking a break during the day, then the crisp 3.5 inch screen on this model is going to be a nice step up from other MP4 players you may have owned before. This high color display really makes videos look good and helps you enjoy your down time. Playing your digital music collection (MP3, WMA, FLAC, OGG, WAV, APE, AAC) is also a joy with this unit as the simple load and go file manager makes putting media files quick and easy, and never needs for any proprietary software! This is a portable media player (PMP) with an incredible amount of potential for fun and for practical applications. The CVSC-N05 is available for a much lower price than you would ever get for a branded PMP with only some of the same functions and is in stock for single piece or bulk orders. So click "Add to Cart" right now to have us ship this wonderful new digital media player to you today! Bonus: Premium quality gold plated earphones now included! 16GB movie and music player with 3.5 Inch display. Load it up just like a USB flash drive. Makes adding new files quick and easy. Simply hook up the CVSC-N05 to your computer via the high speed USB 2.0 connection and load it up just like any other folder or flash drive. Makes adding new files quick and easy. What makes this MP3 / MP4 player better than others I see in my local electronics store? Besides the factory direct budget price, this music and video file player is easy to use and plays a wide selection of popular music and video file types. Does this unit play MP4 files? This unit plays MPEG4 files, which usually have the file extension of AVI or MP4. This unit does not play the Apple protected video files that have the MP4 extension, that is a different file type. Is this an MP5 player? 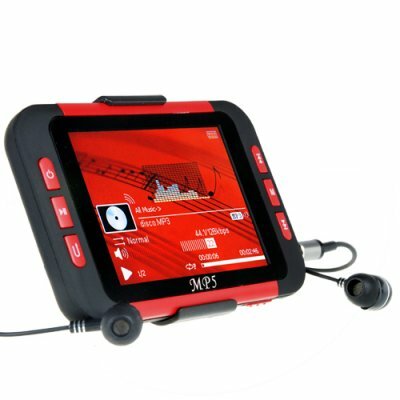 There are no such things as MP5 files, so no product can be an MP5 player. However, this product has all the features you see in advertised MP3, MP4, MP5, and MP6 players, plus much more! on 2009-10-11 07:44:20 it's nice! display quality perfect. sound very good. charge only with pc :=) ..but generally five star. on 2009-08-24 22:55:51 I will do more business wth chinavasion. Nice unit, as advertised, it broke, chinavasion repaired, nice transaction (twice). Only through failure do we appreciate success, I will do more business with chinavasion. on 2009-08-22 00:13:11 I will do more business wth chinavasion.